Grant’s process of practicing drag started out slow. His grandmother first introduced him to basic cosmetics like as foundation and blush. Soon after, he started playing around with different looks on himself. “I got really serious with it mostly this semester. It was a really, really slow growth, and within the past month or so, I’ve practiced and have gotten a lot better than I used to be,” Grant says. He performed the first time in full face this past summer at the Orientation Advisor Talent Show where he lip synced and modeled to Christina Aguilera’s “But I am a Good Girl” from the musical film “Burlesque.” This performance sparked Grant’s increased interest in performing in drag as a hobby. 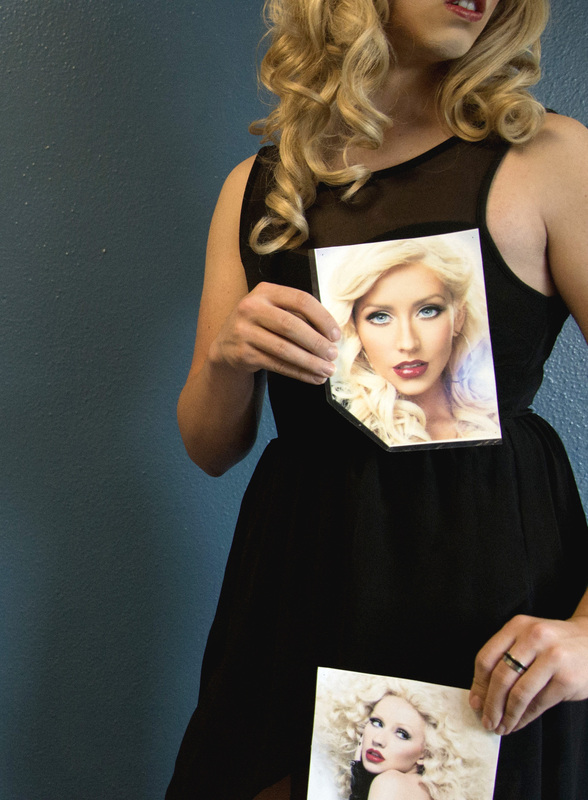 Grant decided to stick with the Christina Aguilera image, and he refers to her as his inspiration and idol. “She’s sexually empowered and my favorite artist. I listen to her music all the time. I’m ridiculously obsessed with her,” he says, revealing his iPhone case that sports a photo of Aguilera’s face. Grant attributes his costume choice to Aguilera, as well. “Wearing black really surprises me because I like bright colors, but I’ve always gotten black because it fits the ‘Lotus era’ of Christina,” Grant explains. Grant says he attempts to impersonate Aguilera and hopes to get really good at it. He admits even his everyday persona is modeled after her. “I want to be that cute, very fine and friendly girl, with naughty, just below the surface. I’m going to be presenting those two aspects at Drag Race,” he adds. The Drag Race is a competition Grant will be participating in in late April. In the past, an event called Drag Ball has always been put on by Queer People of Color and Allies (QPOCA). But, this year, Grant’s fraternity Delta Lambda Phi and Queens of Texas decided to collaborate and put on a competition. Now called Drag Race, modeled after “RuPaul’s Drag Race,” the competition will showcase what drag has become today. At the competition, the top two contestants will battle against each other until the best queen wins. The winner will not only be recognized and crowned, but will also perform with one of the judges, Austin entertainer Kelly Kline, at Oil Can Harry’s. Part of Grant’s drag name, Kamyrrah Jane, is also a nod to Aguilera, because one of her music aliases was "Baby Jane." As for the first half of the name, "Kamyrrah” is a play on the word on Chimera, a mythological creature composed of different animals. 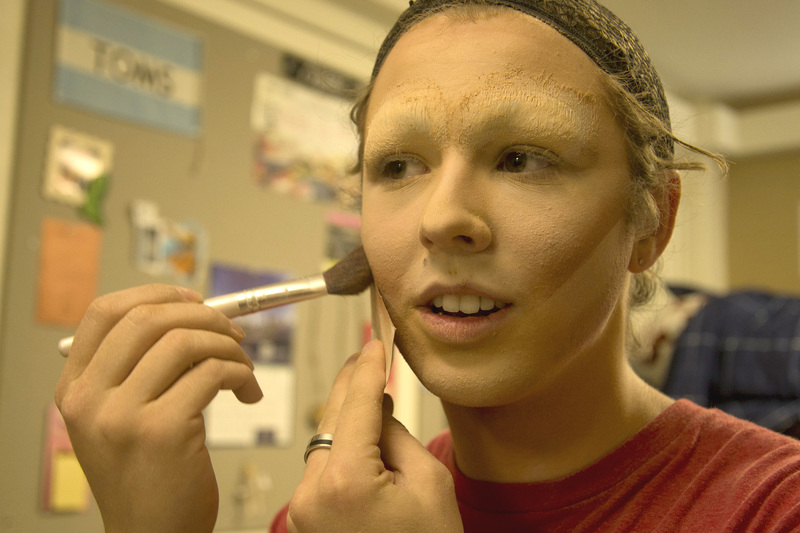 “That’s how I see drag for me, a mixture of gender expressions,” Grant says. 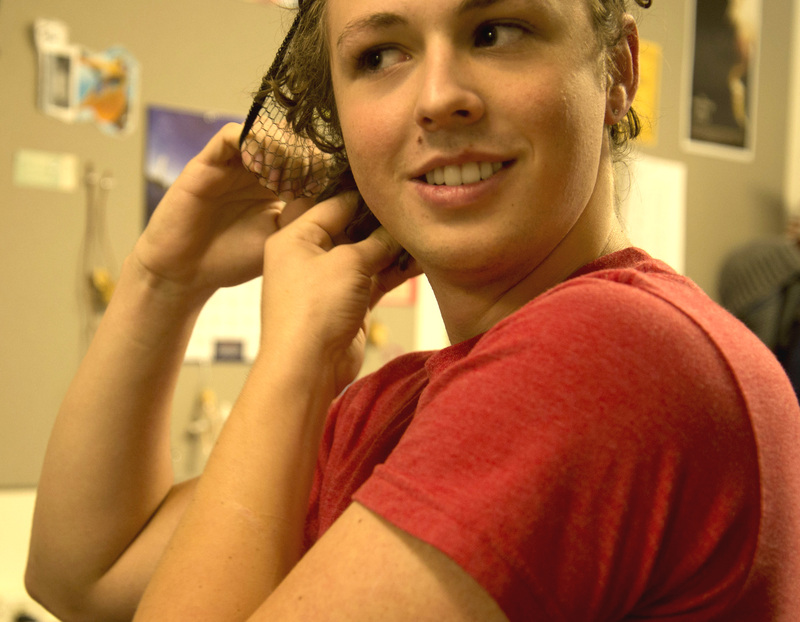 With that in mind, Grant believes a drag queen is someone who plays with the concept of gender in a performative way. “I know that there’s a lot of people who don’t think women can be drag queens, or that whenever there’s people that are transsexual, and they transition into a woman, and then do drag, think ‘Oh you’re not a drag queen anymore.’ I just don’t see a purpose in creating an exclusive environment for what drag is. Nobody gets a monopoly of what that term means, so that’s why my definition is really broad,” Grant explains. 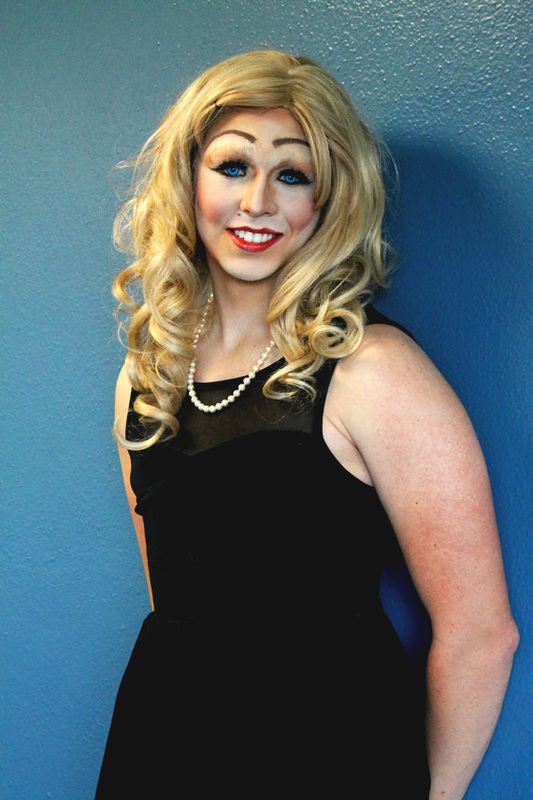 Since Grant has just started performing drag, he refers to himself as a “fishy queen,” a type of drag where the goal is to essentially look like a traditional pretty woman. Although "fishy queen" is a valued form of drag, Grant’s ultimate goal is to pursue something new, pushing the boundaries on what gender should be. “I started out thinking ‘Oh, I just want to be pretty,’ but now I’m transforming by developing my makeup skills. I would want to be universal, where I could do a really ‘fishy’ look, or a really exaggerated, dramatic look, since I really like that form of drag, and it’s what I ultimately want to be good at,” Grant says. Grant’s involvement and leadership roles on campus — as an Orientation Advisor this past summer, an R.A. for Jester East and a member of National Residence Hall Honorary and Conference Assistant for this summer — allows him to show his alternate identity even more. “Starting out was a little bit awkward, but my residents have all been really positive about it. I’ve been really lucky because a lot of people would have taken an issue with it. I’ve never really had any bad reactions from residents other than good things, such as compliments,” Grant says. Unconcerned with people’s opinions about his actions, Grant believes it is crucial to push people’s comfort levels. “I think it’s important in order to make room for people that don’t fit stereotypes of what’s ‘okay.’ Honestly I enjoy the attention. The looks are funny, but I don’t care. As long as you don’t feel unsafe, then don’t worry about the funny looks, it doesn’t matter,” Grant says. 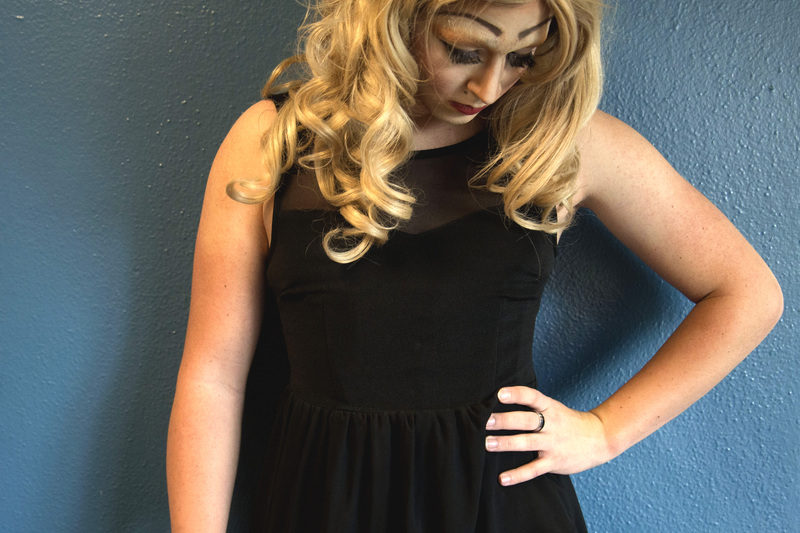 Check out Kamyrrah Jane when she takes the stage at the Drag Race competition at 8 p.m. on April 25 at the Student Activity Center.